KamBlog: Raising the bar via London’s largest pop-up shop? Raising the bar via London’s largest pop-up shop? For those who cannot make it, a good second best might be to visit London’s largest pop-up shop in Hyde Park. 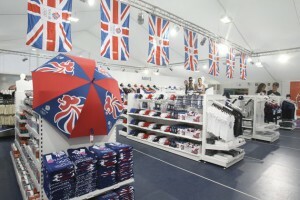 This 12,000 sq ft pop-up shop on Rotten Row is the only location fans can purchase official London Olympic 2012 venue merchandise outside of Olympic Park, and will receive special visits from athletes throughout the games. It offers something for everybody at every price point – from one-off exclusive collectables to children’s toys…. Time to consider the appointment of a pop-up KAM, a temporary role obviously…? Incidentally, to keep up with pop-ups, visit the popupspace blog.